Big Wreck’s latest release is Albatross. Like the universe heard that thought and was going to do me a favour for some reason, the station my radio was tuned to chose to play “Wolves” from the first Big Wreck release in a decade. It then announced the band was currently on a Canadian tour with Theory of a Deadman to promote that album. Apparently, the album had been around for months, but I was just about to experience it for the first time. I was lucky enough to have the chance to speak with frontman Ian Thornley briefly before doing so. I asked him what brought them around to reuniting, what they thought about where they had come to musically over the years and where they thought they were headed. Thornley had been off working with his band Thornley since the breakup of Big Wreck. After that call to Doherty, they headed back into the studio to see what they could come up with. They came up with Albatross. 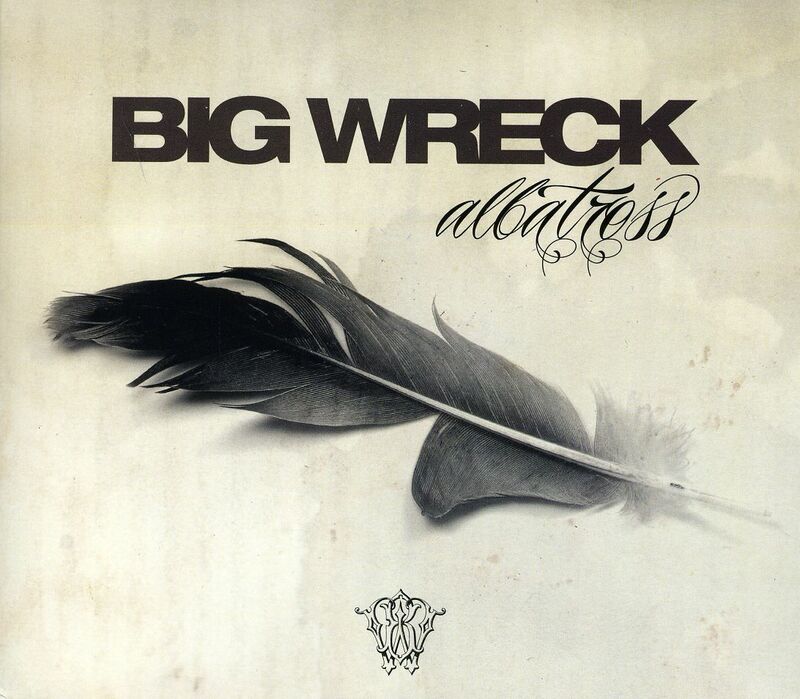 The opening track of Albatross, “Head Together,” is definitely reminiscent of the old Big Wreck of the late 1990s, including the palm-muted power-chord-driven verse utilizing guitar pedal effects to change tone in places where many would change the actual structure, which produces a strong, simple song construction. Nice harmonies abound, especially in the intro, during which the melodic, chant-feel underneath the guitar melody that will continue to appear throughout the song guiding the listener nicely into the album itself, welcoming old fans while acquainting new listeners to the old sound. The album then introduces returning fans to the fact Big Wreck will be throwing back to old Soundgarden efforts like Superunknown starting with their second track, “A Million Days.” Though Thornley doesn’t have the vocal range or power Soundgarden frontman Chris Cornell has, the energy and melodic concepts are solid, if not quite as dark as the Seattle band’s. Doherty is no Kim Thayil (lead guitarist for Soundgarden during the Superunknown days), but he certainly holds his own on this track. “Wolves” is the second single released off Albatross, after the title track “Albatross,” which was released in late 2011, months before the March 2012 release of the album. While “Albatross” is the most Soundgarden-sounding effort on the album, “Wolves” brings listeners back to the traditional Big Wreck sound. It’s easily the most mainstream-sounding track on the album and demonstrates the vocal range and power Thornley can harness when he’s at his best. “Wolves” is Albatross’ “Blown Wide Open,” (the third single off 1997’s In Loving Memory of…, the debut album that propelled Big Wreck into the North American spotlight) which is a compliment. “Control” (track seven on the album) is definitely not a safe pick for those betting on the next single to be released from Albatross (can you even bet on that? ), though it is certainly the most interesting, if only for its sudden departure from the tone and style of the rest of the album. It slows the album down right where it needs to and leaves the ’90s grunge sound behind for a while. What could be taken as a poignant message about mental illness, the track uses subtle effects and melodic changes to imply a forlorn, regretful tone and pays homage to old Doors and Pink Floyd jam-style mid-song breaks, which not all listeners will appreciate, but adds a nice, previously unexplored dimension to the work. “You Caught My Eye” is basically Thornley doing his Chris Cornell impression mixed with Chad Kroeger-quality lyrics about hooking up at a bar, using a Big Sugar-type blues riff as the driving melodic force. The track is unwelcome on an album that otherwise provides a high-quality hard-rocking blend of the old and new Big Wreck sound. Interesting, I suppose, but superficial and unnecessary. Albatross closes with “Time,” which is a fun, retrospective, nostalgic-sounding tune, serves as a perfect end to the album, bridging the band’s old and new — reaching back while looking forward both in tone and content. “I think that the music is more focused and a little more brave than back then because we’ve all grown and been through a lot,” Thornley said of the album and he wasn’t lying. Big Wreck has certainly developed its sound, even if it did turn into a blend of late ’90s Big Wreck and early ’90s Soundgarden. That’s a pretty solid combination. Nice compliment for the CD but you missed the boat on a bunch of it. Read this. I don’t care if you post it here, just take the time to read it.